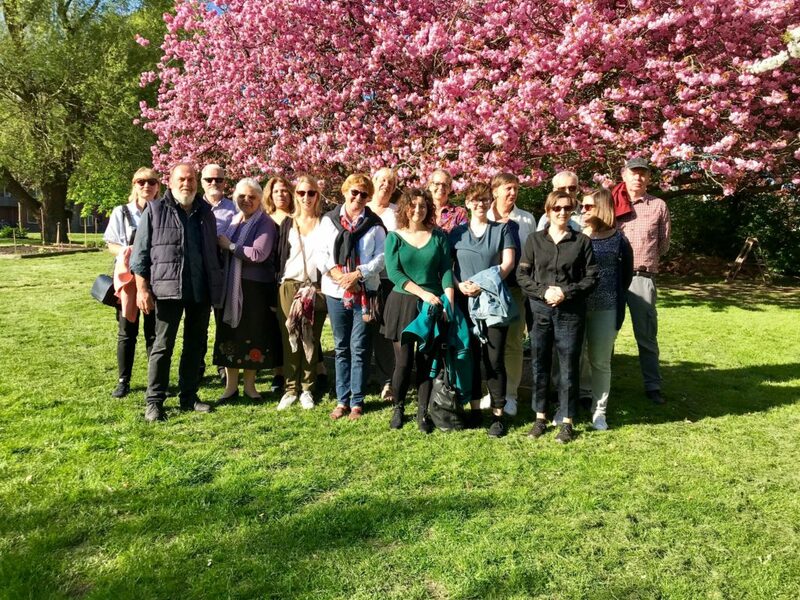 The 2nd training workshop took place in Aarhus, from Monday May 7th to Wednesday May 9th, 2018. On the first day, the participants discussed the theory of appreciative coaching and how it fits in with the vision on lifelong learning (which was offered during the previous training in February). Coaching is a kind of conversation between two people (program responsible – volunteer, volunteer – participant, participant – participant ..) where the focus is on helping the coachee (the people being coached) to go through personal growth. It is important here that time is taken, there is interest and a belief in growth. On Tuesday and Wednesday, the participants delved further into coaching by practicing skills. This was done by discussing and deepening challenges in groups of three with a coach, coachee and observer. They learned to listen, ask open questions, take time, encourage and so much more. During the breaks they enjoyed the view and there was delicious fruit and pastries. On Tuesday evening the group visited the student house in Aarhus where students can gain a lot of (work) experience and make contacts as a volunteer. On Wednesday evening, the company visited the city center of Aarhus. In the attachment below you can find the schedule of our training week in Aarhus. The program is structured in a way to allow the participants to learn both via formal (e.g. lecture) and non-formal (e.g. study visits) ways.